Do you want to master the Tarot card meanings and read the Tarot with confidence? 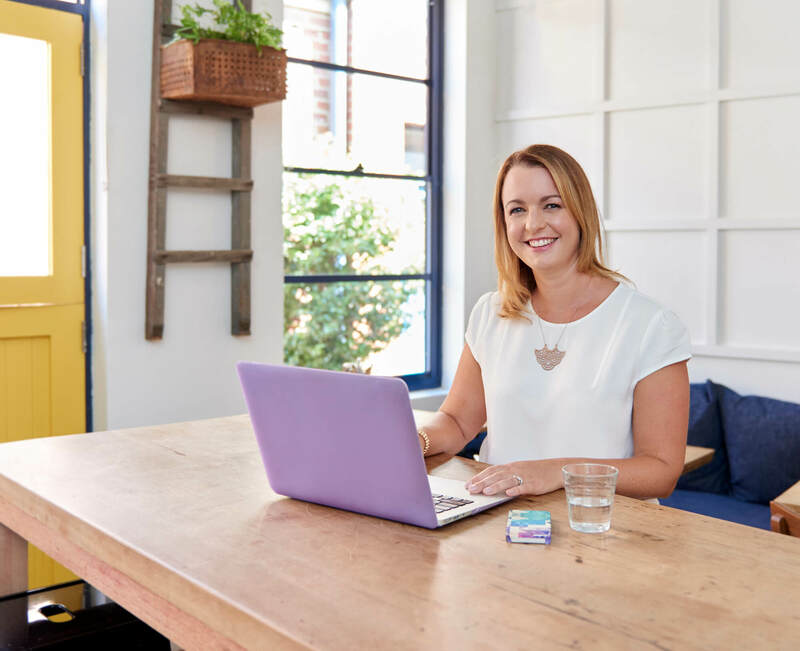 Become an intuitive Tarot reader and learn to read Tarot from the heart, not the book, with my online Tarot training courses. The Biddy Tarot Certification Program offers a complete approach to Tarot that quickly develops your competence and skill. Our one-of-a-kind certification goes beyond other Tarot books and programs. While you’re learning, you’ll give real life Tarot readings for all kinds of people… and while you’re giving Tarot readings for people, you’ll learn things about Tarot that can’t be learned through study alone. That’s the Biddy Tarot Certification difference. Curious about Tarot cards, but not sure where to begin? The Master the Tarot Card Meanings course will walk you through the meanings of each of the 78 cards in the Tarot deck, plus teach you the simple yet powerful techniques to interpret the cards with meaning and accuracy. I’ll also guide you in how to create a personal and intuitive connection with symbols in a Tarot deck, making it easier for you to interpret the cards — in your own way — with more impact. Become the Tarot reader everyone raves about! 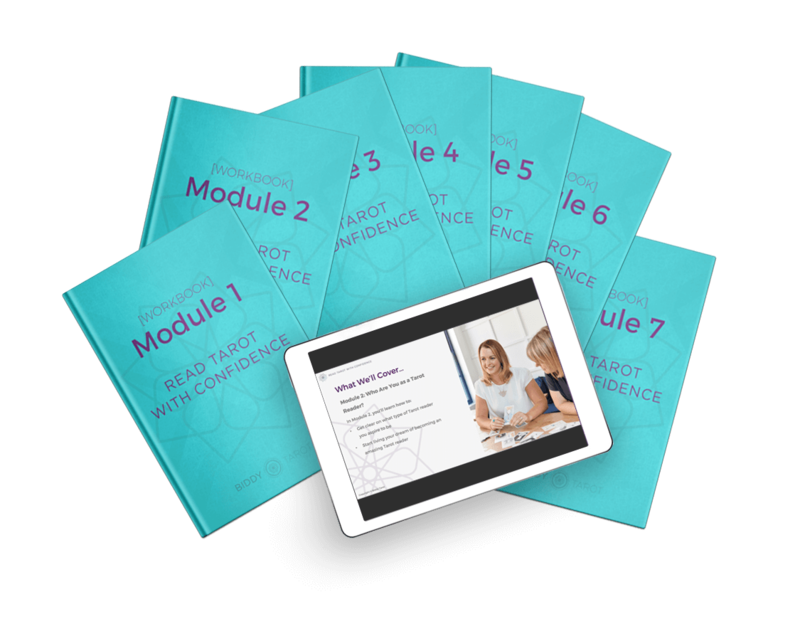 The Read Tarot with Confidence course will teach you how to read Tarot for yourself and others in a compelling, meaningful way that makes a real impact and inspires positive transformation. Learn how to prepare for remarkable readings, choose the right spread, trust your intuition and more. 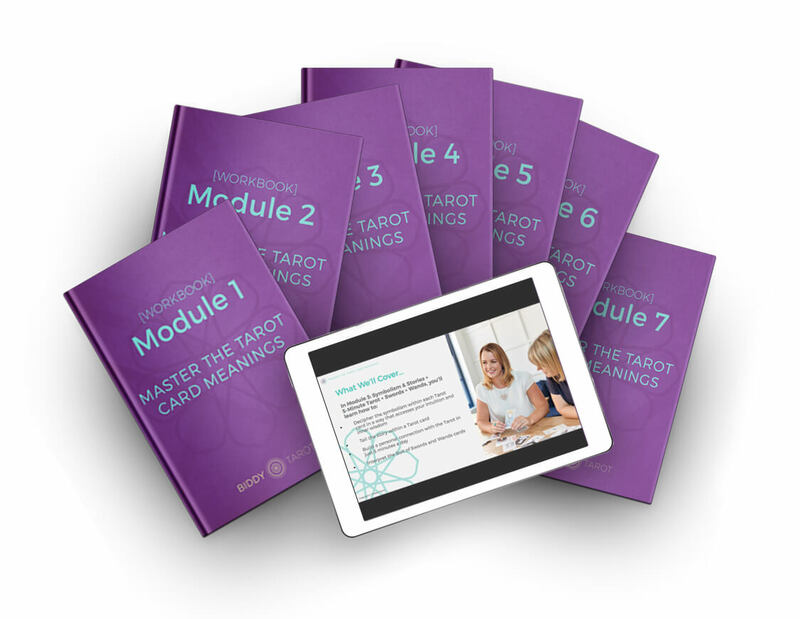 Feel free to start here or with the Master the Tarot Card Meanings course – they’re designed to work together as you develop your skill and confidence in your readings.